Premium Bandai announced their next figure in their S.H. 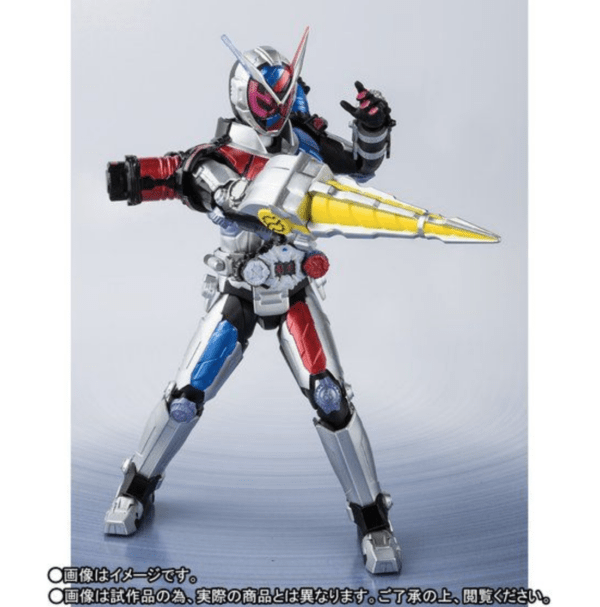 Figuarts line, the Kamen Rider Zi-O Build Armor from Kamen Rider Zi-O. Armor Time! Best Match! Build! 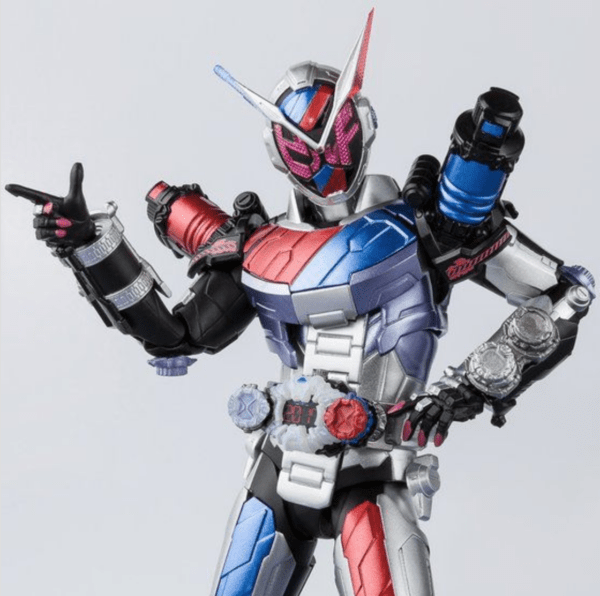 “The laws of victory have been decided!” Making its debut in episode 2 of Kamen Rider Zi-O, Build Armor is summoned when using the Build RideWatch, transforming Zi-O into Kamen Rider Build’s RabbitTank Form and wields with him the Drill Crusher Crusher. 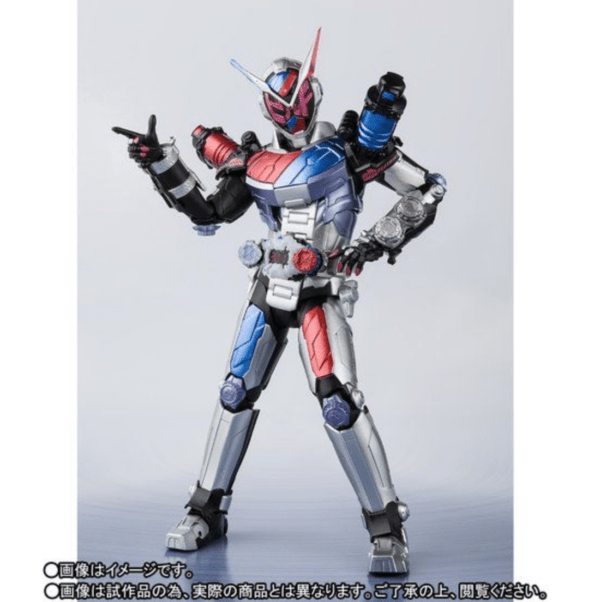 When inserted into the Jikuu Driver, a hologram of the Kamen Rider Build Armor is projected and does Build’s signature pose before dispersing to attach to Kamen Rider Zi-O. 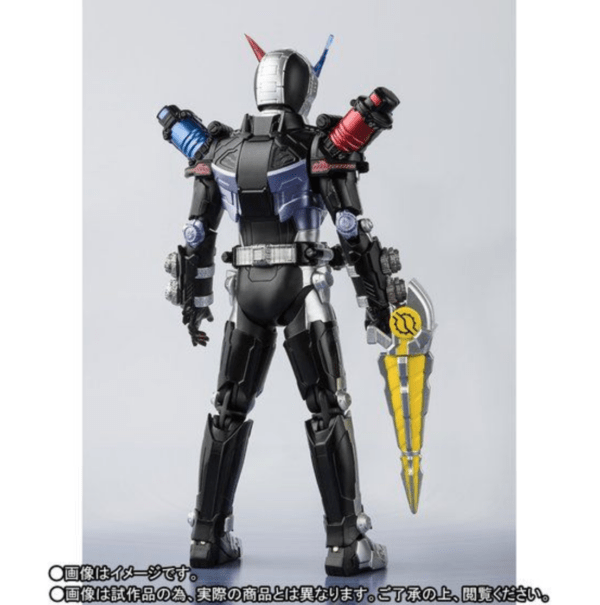 Build Armor’s shoulders are modeled after the Empty Bottles from Kamen Rider Build and its visor spell out “Build” (ビルド) in katakana. Kamen Rider Zi-O’s first Rider Armor now appears in an S.H. Figuarts form. 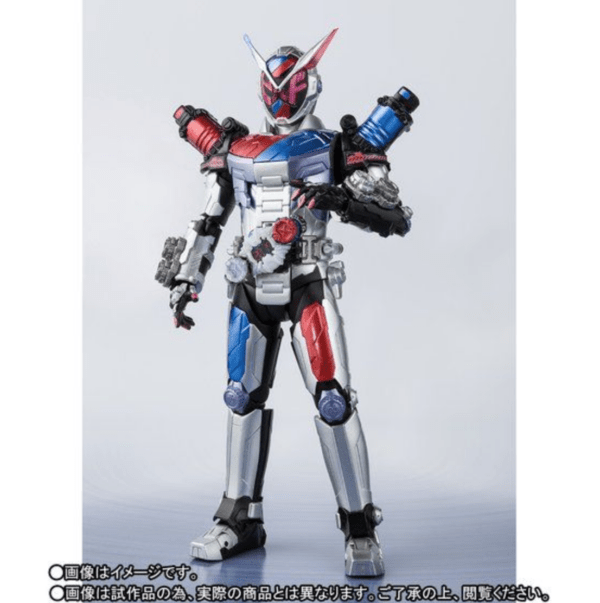 Kamen Rider Build’s armor emerging from the projection can be recreated as it also comes with a wrist part that can mimic Kamen Rider Build’s signature pose. The Kamen Rider Zi-O Build Armor S.H. 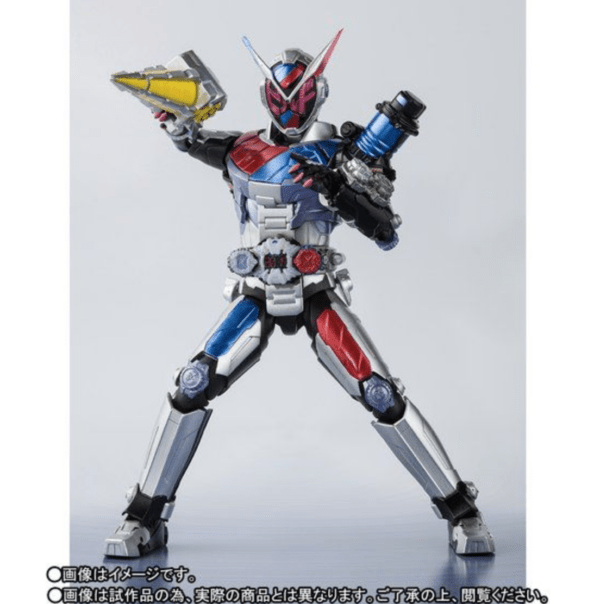 Figuarts set includes a Kamen Rider Zi-O Build Armor figure, 4 replacement wrists (one of each type) and the Drill Crusher Crusher. 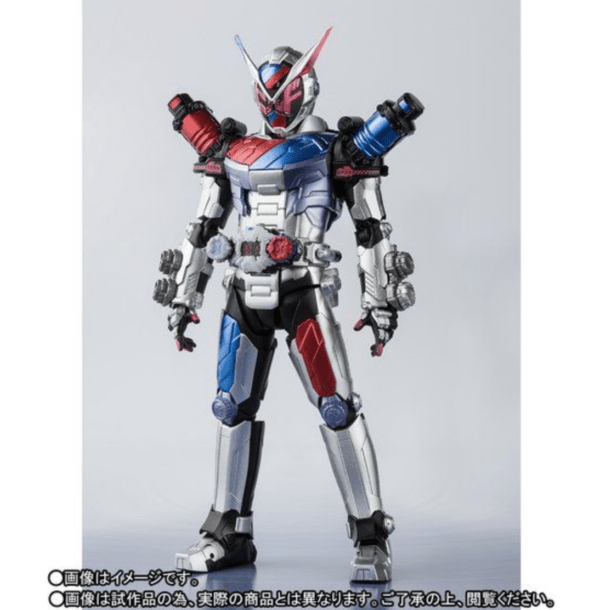 The Kamen Rider Zi-O Build Armor S.H. Figuarts Set will go for ¥5,940 (tax included) and is scheduled for shipment in May 2019. Preorders are being accepted starting from November 9th, 2018, at 16:00 JST. 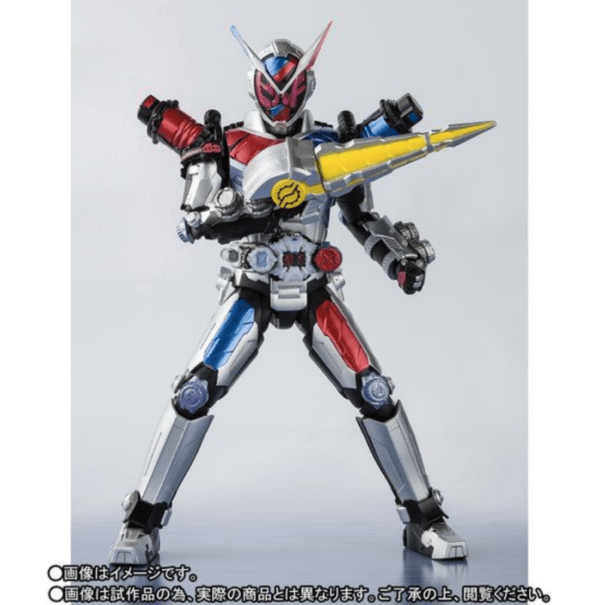 Premium Bandai has noted this figure is a Japan Only Item and can be bought internationally using a middleman service.